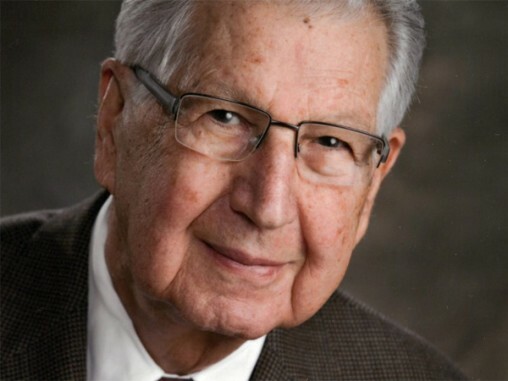 Learning of new challenges in accessibility to Jewish education in Greater Vancouver, Leon Glassman did exactly what he has always done: he stepped up. A longtime advocate for Jewish education, Glassman established the Leon Glassman Fund for Jewish Continuity through Education with a $1 million endowment at the Jewish Community Foundation. This endowment fund will support tuition assistance at Jewish day schools and ensure that every family that wants to send their children to a Jewish day school on the Lower Mainland can do so, regardless of their financial means. Over the decades, Glassman has invested untold amounts of time, energy and resources in improving the quality of, and access to, Jewish education. But, he recently discovered that local day schools have been facing the daunting dual challenges of the impact on families of the Lower Mainland’s high cost of living and the schools’ accompanying difficulty in keeping pace with subsidy requests. Families continue to grapple with Metro Vancouver’s housing costs: being reasonably close to a Jewish day school, for many young families, means they spend so much on housing, they cannot afford tuition. The schools, in turn, have faced significant challenges meeting the demand for increased subsidies. In response, Glassman established the education fund. It will be a legacy that reflects his passion, generosity, lifetime commitment to community and, most importantly, to the continuity of Jewish life and Jewish identity through education. While Glassman’s million-dollar gift has started his namesake fund, it is his hope that the community will increase the capital of the fund by making contributions to mark the significant life events of friends and family. In that way, the entire community will both participate in and benefit from the growth of this fund. For more information or to make a donation to the Glassman fund, visit jewishcommunityfoundation.com. Read more in our CEO’s Shabbat Message.